(CBS/AP) OMAHA, Neb.  With the Mega Millions jackpot set to reach a world-record $540 million Friday, lottery players in 42 states and Washington, D.C. are wondering if there's a way to guarantee becoming an overnight multimillionaire. The jackpot is so large, someone with enough money could theoretically buy up every single combination of winning numbers, thereby guaranteeing a winning ticket - but only if you suspended the laws of physics. A $540 million jackpot, if taken as a $390 lump sum and after federal tax withholding, works out to about $293 million. With the jackpot odds at 1 in 176 million, it would cost $176 million to buy up every single combination. Under that scenario, the strategy would win $117 million - less if your state also withholds taxes. And with a jackpot this large, experts say, there is more of a chance of multiple winners. If you have to share the jackpot with even one fellow winner, you've lost $30 million. Mike Catalano, chairman of the mathematics department at Dakota Wesleyan University in Mitchell, S.D., said he covers the odds of winning in lottery games with his students in an attempt to show them how unlikely it is to win big. He concedes the math is clear: The more tickets you buy, the better your chances of winning. So, if you buy 10 tickets filled out 10 different ways, your odds of winning the jackpot 10 in 176 million. Based on other averages in the U.S., you're about 8,000 times more likely to be murdered than winning the lottery, and about 20,000 times more likely to die in a car crash that hit the lucky numbers, Catalano said. "You might get some psychological enjoyment from playing the lottery, but from a financial standpoint ... you'd be much better off going to Las Vegas and playing blackjack or the slot machines." But that chance - however small - of instantaneous, enormous wealth is leading to long lines of people at convenience stores across the country, where Mega Millions tickets are sold. It's why David Kramer, a lawyer in Lincoln, bought a Mega Million ticket Thursday. 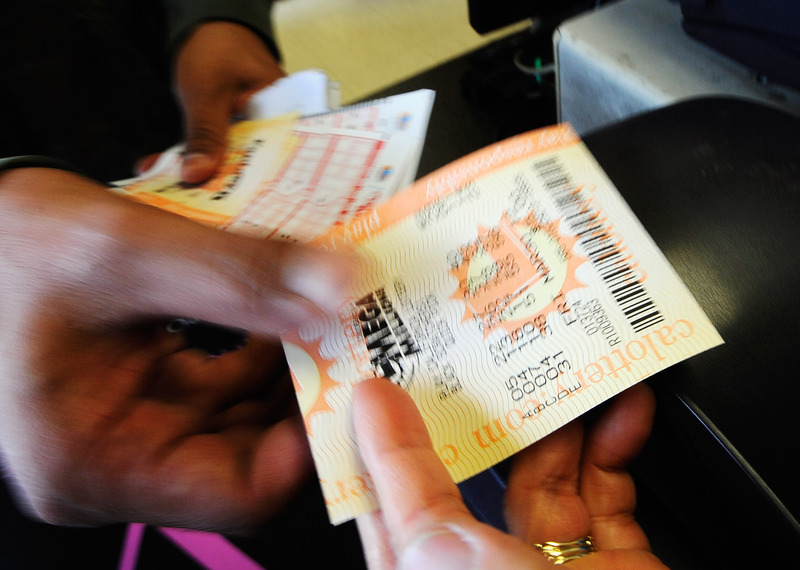 "To me, the value of the lottery ticket isn't the realistic opportunity to win," he said. "It's the fact that for three days, the daydreaming time about what I would do if I won is great entertainment and, frankly, a very nice release from a normal day." Even those seemingly well aware of the odds were buying lottery tickets this week, including Dymond Fields, of St. Paul, Minn., a retail store cashier who bought one ticket. "I've got bills to pay, I do not have money to be paying five lottery tickets," Fields said. "If I don't win, it's money gone. I see people paying $30, $40, $50, and that's just painful." And as if to prove how long the odds are, in line to buy tickets with Fields was 80-year-old Everett Eahmer, of St. Paul, who said he's been playing the lottery "since the beginning." "If I win, the first thing I'm going to do is buy a (Tim) Tebow football shirt, and I'm going to do the Tebow pose," said Eahmer, who bought five tickets. "I'm with him in honoring a higher power. "After years of playing, he's not grown discouraged by the long odds. "You have to get your foot in the door," he said. "If you don't play, you know you don't win anything." "We certainly know we get more pool play ... people coming in making very large purchases for a group," said Chuck Strutt, executive director of the Urbandale, Iowa-based Multi-State Lottery Association that oversees the Mega Millions, Powerball and other lotteries. "When people ask me, I just tell them that the odds of a lottery game make it a game of fate. Just buy a ticket, sit back and see if fate points a finger at you for that day."